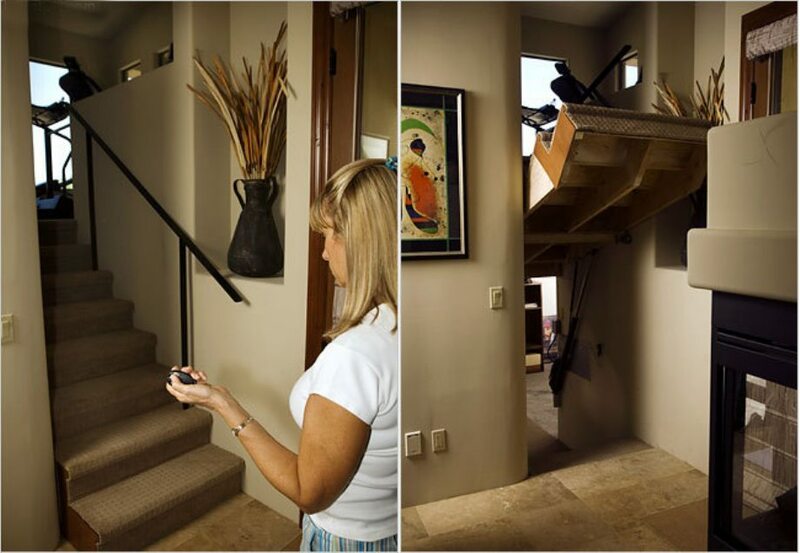 If your considering changing or adding something to your home but can’t decide on what to do, then perhaps these amazing ideas might give you inspiration. 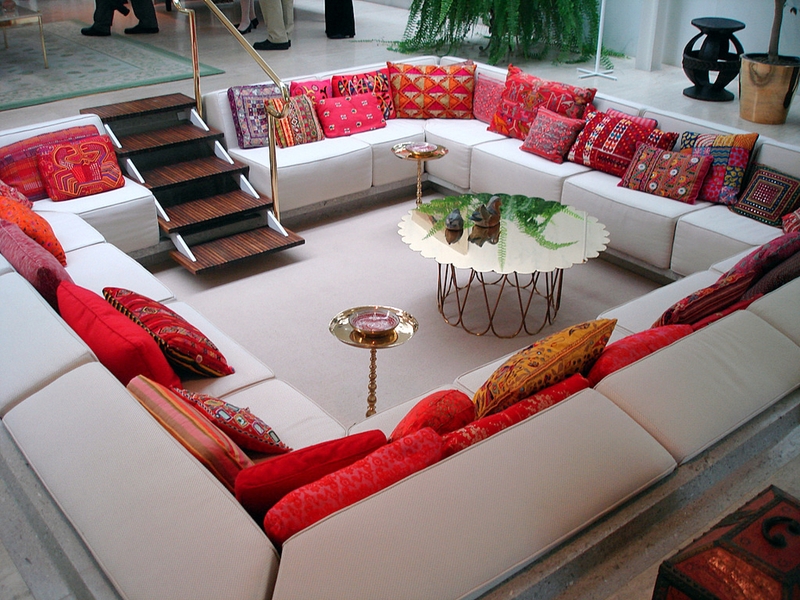 Make your home unique with something truly creative. There are many great designs that you perhaps have never seen before, but we guarantee there will be a few that you’ll love! 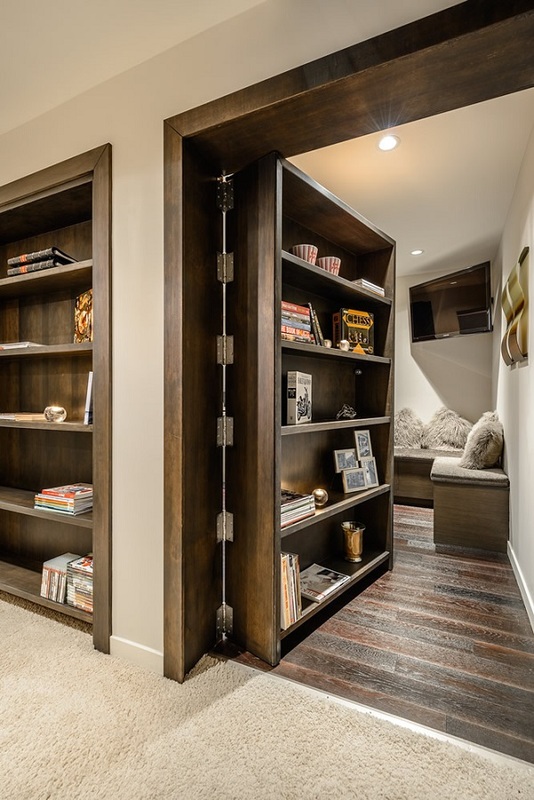 Our favorite is the bookshelf that’s really a door to a secret room! It’s always good to have more fridge space. If you have the space, why not?! It looks amazing! It’s just like you see in the movies! 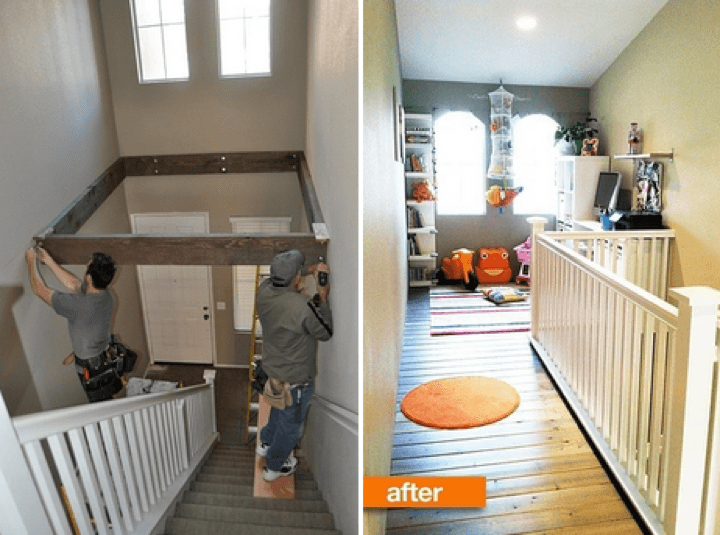 A great way to use space that is generally wasted and simply covered up with boards. This is awesome! 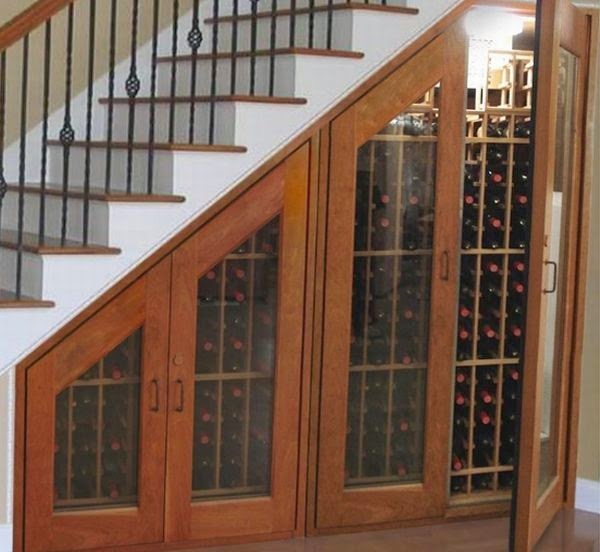 It makes a great entrance to your wine cellar, basement or safety shelter. 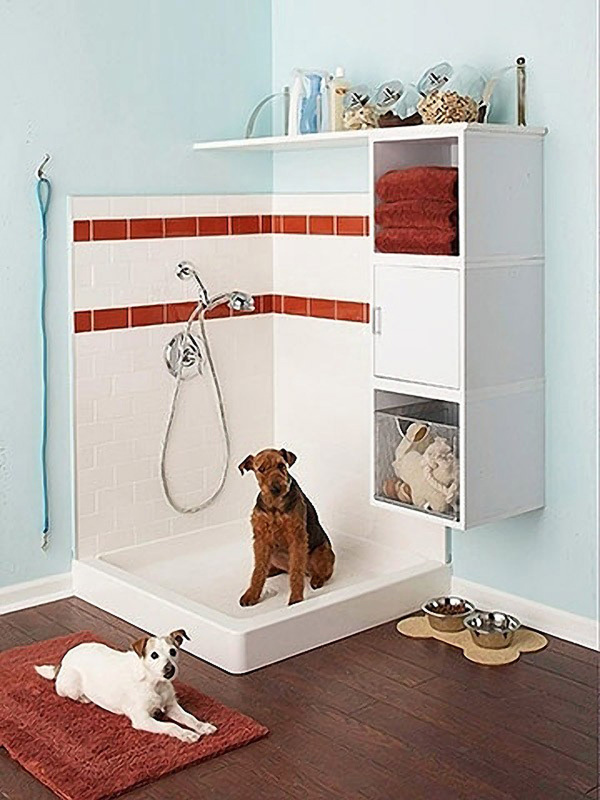 If you bathe your pampered pooch yourself, why not dedicate an area in the garage just for them! 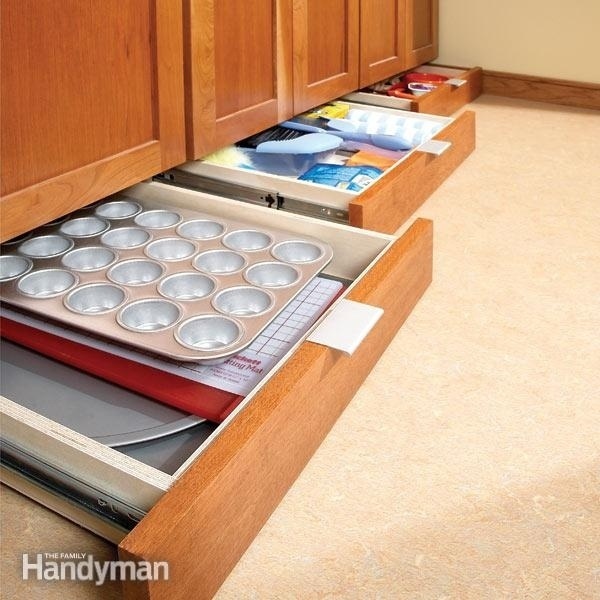 This makes the perfect storage for shoes and bags! All tucked away nice and neatly. 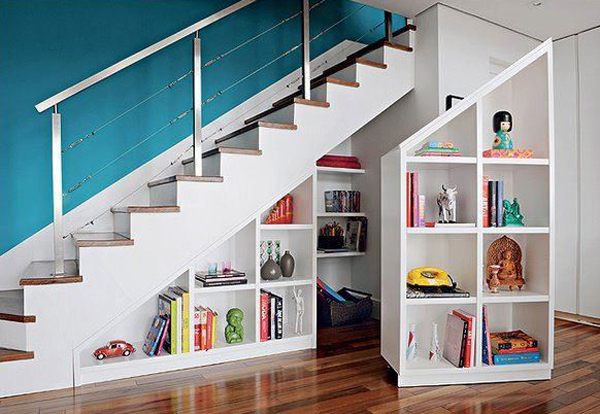 If your under stairs is open with no cupboard, why not make use of the space and add shelving so you can store things there? This is great when you have guests round. It looks cozy too! Experience a bath like never before. 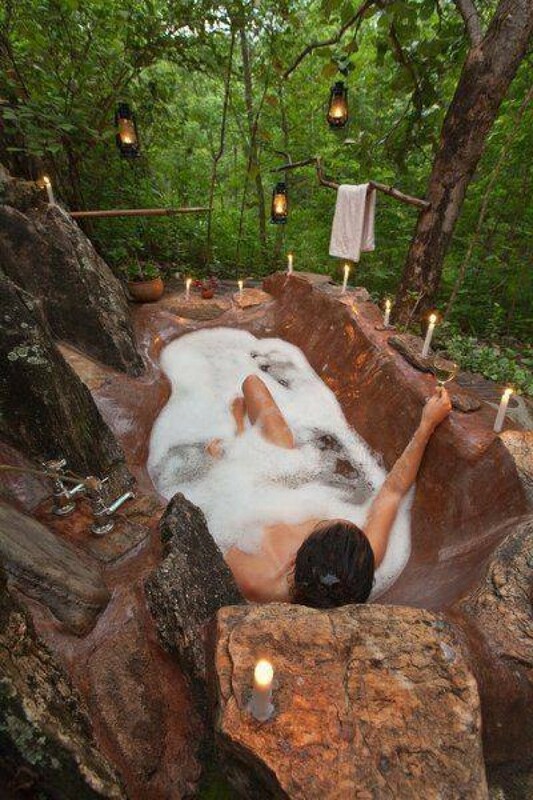 Listen to the surrounding sounds of the nature while you relax! 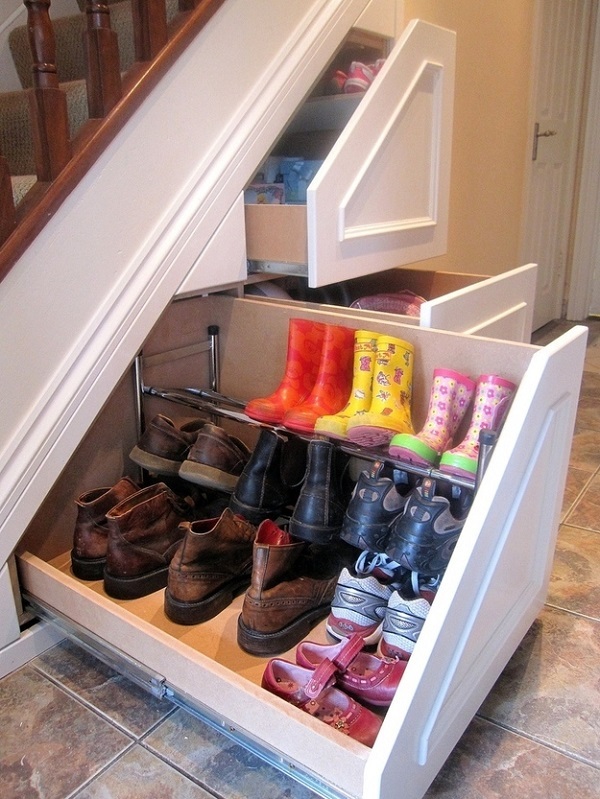 If your home has very little storage then you should think about having a raised floor storage area. 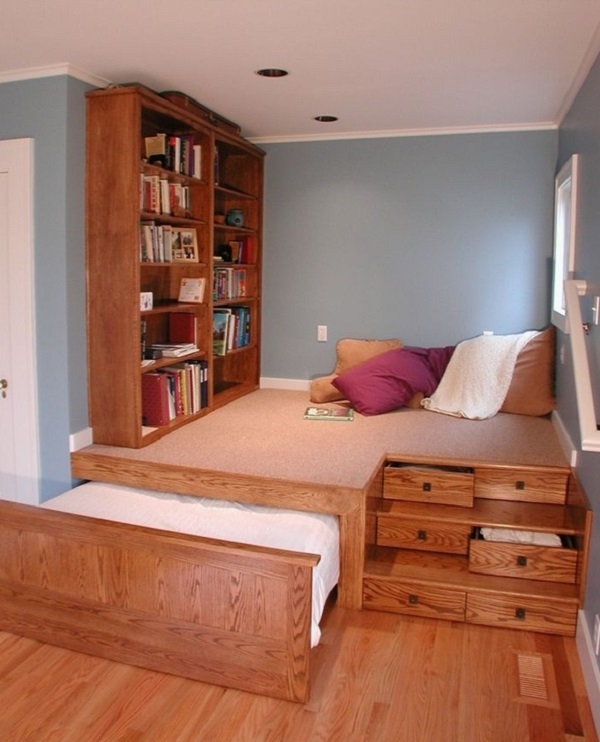 This is a great idea for a guest bedroom that is on the small side. When you have no one staying then you can keep the bed tucked away and use the room as a quiet reading/relaxation spot. 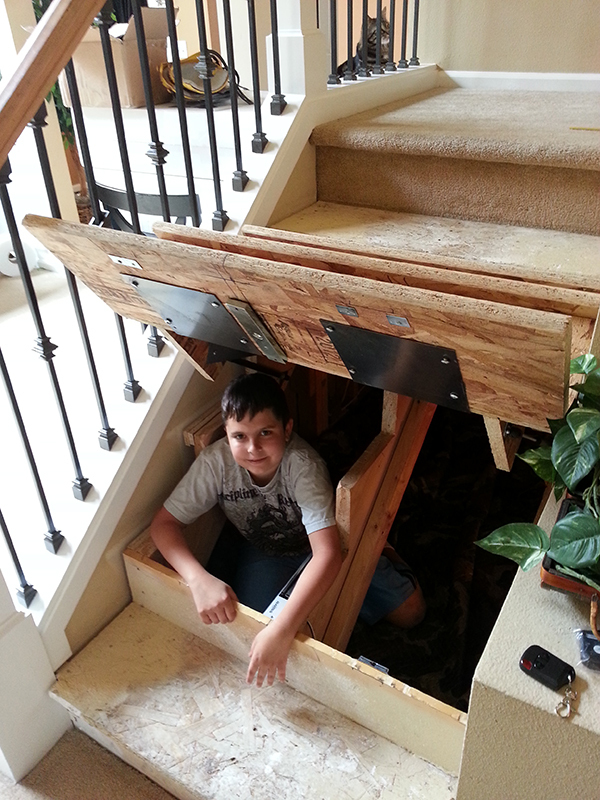 This would make the best hiding place for a game of hide and seek! 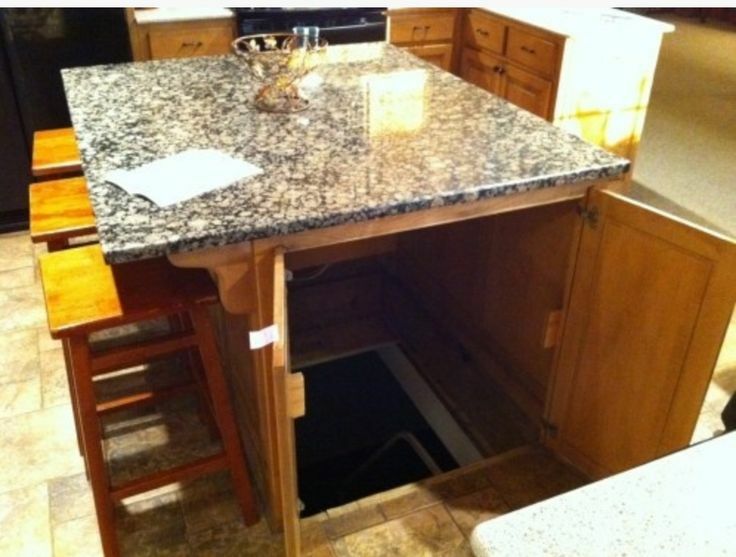 Look at the amount of wine bottles you could fit in here! 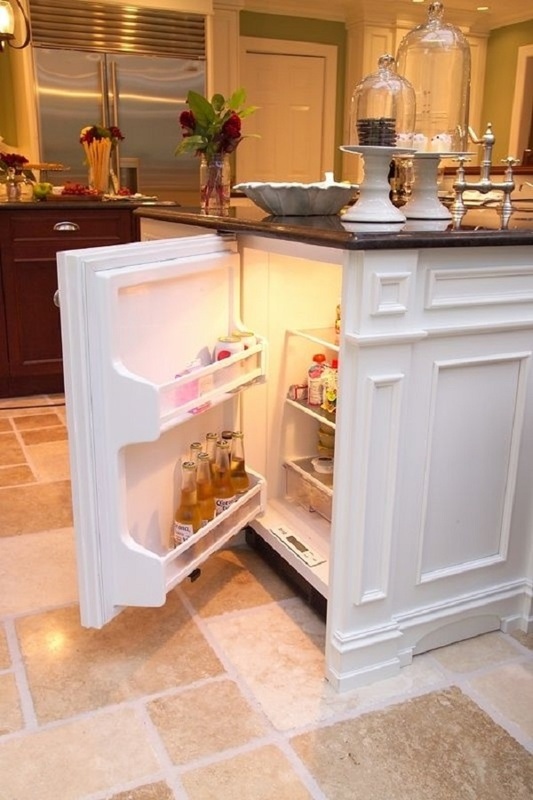 This is a great idea for family homes. 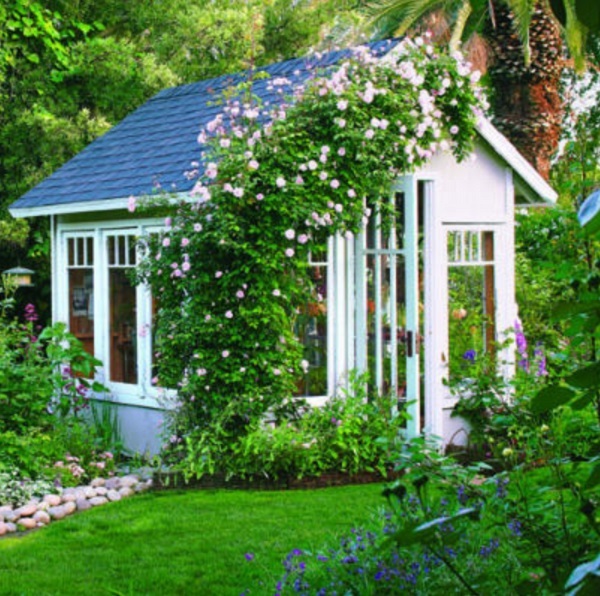 Why settle for a plain and boring shed when you can have this? 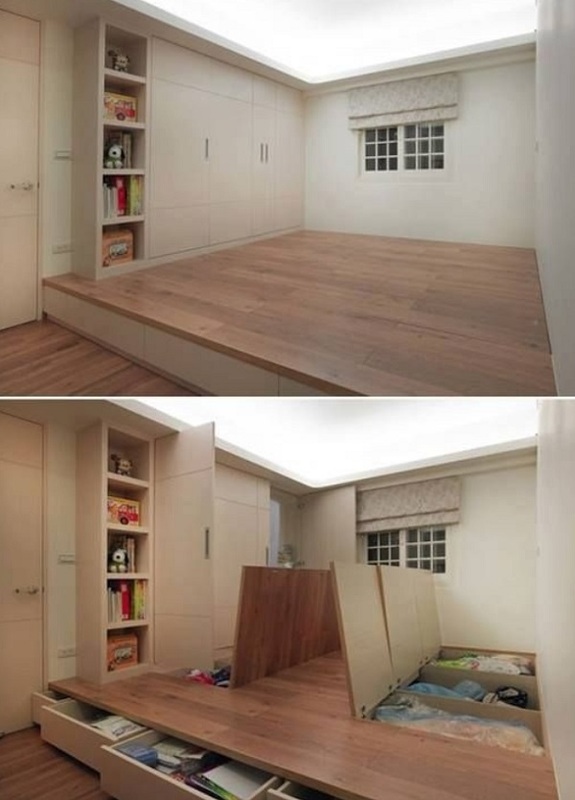 Haven’t you always dream of having a secret room somewhere in your house? Make it a reality! If you’re considering installing a home steam room, why not have an s-shaped seat so you can lie down? 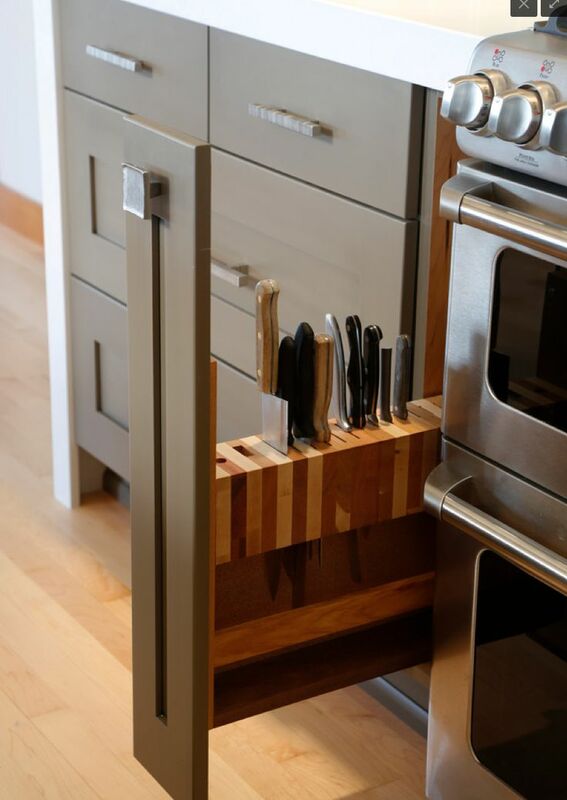 A great space-saver while keeping them safely tucked away.